The Federal Capital Territory has recorded it's first death of the deadly viral disease, Lassa Fever. Minister of Health, Prof Isaac Oyewole made this known during a visit to the National Hospital, Abuja where the patient died. 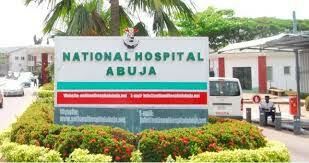 The medical director of the hospital, Jack Momoh, while confirming the death, said the patient, a 33 year old newly married man, was brought in unconscious from a private hospital in Kubwa, a suburb of Abuja, where he had been admitted for eight days. He however died within 24hours of being at the national hospital.‎ Search for all the primary and second contact of the deceased is ongoing.